I’m not always very friendly with technological “progress” – I’m still very happy with my cell-phone from 2003, which can’t even receive MMSs and whose calendar stopped on December 31, 2014, but which I hope can’t be so easily pried upon by the NSA either, and everyday I regreat Windows 7 and Word 1995 and get enraged my the needless and absurd complexities of Windows 10 and Word 2013 – but one thing I must grant is that the Internet and Google have revolutionized the face of research. They’ve made possible to find things that you wouldn’t even had had the idea of looking for in the pre-internet era. I have great anecdotes about that, like finding, after fifteen minutes of online research, in the Morning Herald of Hagerstown, Maryland (!) of 28 March 1947 confirmation of the existence of a Mahler 78rpm recording that, in 30 years of “real-world” research, Peter Fülöp, the great specialist of the Mahler discography and the man who owns, in one form or another, every single Mahler recording ever made save about seven (! ), had never been able to confirm had actually been published or not. 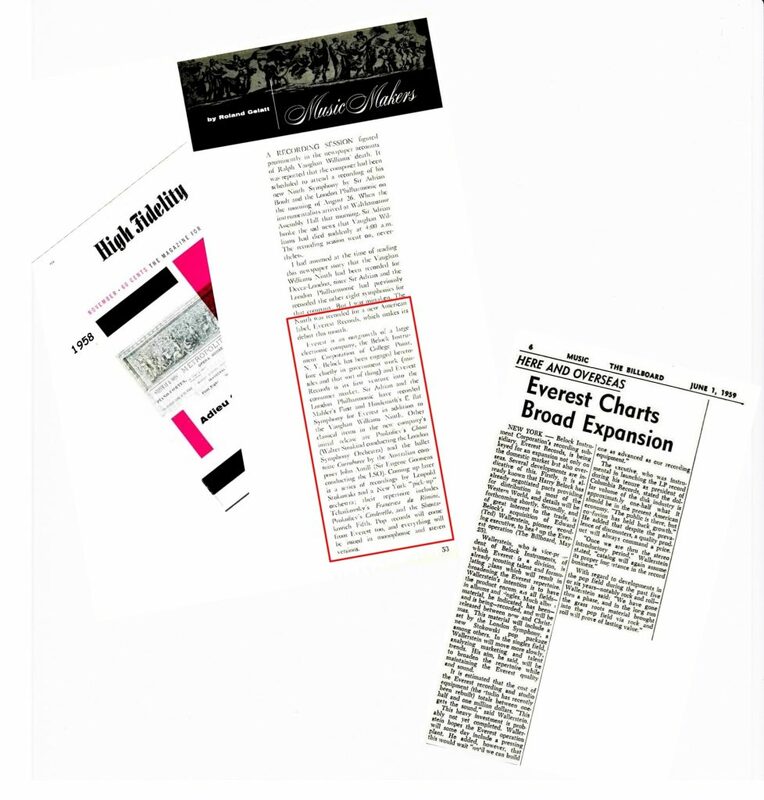 It’s not just that some insane but benevolent angels in Hagerstown, Maryland thought of uploading and making available online things like the Morning Herald and other improbable sources. It’s that character-recognition softwares are so developed now that a search on words like Mahler, some forgotten intepreters and a label name would yield precisely that scan. That kind of finding would have been simply impossible in the pre-Internet era, first because nobody would have ever thought of checking in, of all places, the Hagerstown Morning News and two, even if they had, nobody would have wasted the time to go through hundreds of issues of the daily newspaper to find the relevant information. Character recognition doesn’t work all the times, but this is here a case of the glass half-filled vs the glass entirely empty: I’m grateful for what I get, even if I don’t get everything. Long introduction to say that a very extensive collection of The Billboard is available online through various sources, and searches on key words like “Everest”, “Belock” or “Solomon” have yielded a lot, that (with the addition of various mentions from contemporary record magazines like High Fidelity, also available online) makes it possible to sketch a slightly amended history of the Everest label and how it passed from one to the other. It’s not that the informaton given in The Billboard should be blindly trusted. Many times they just repeat what the labels’ PRs feed them, and the labels’ PRs aren’t paid to tell the truth, but to make things look better than they are (“truthful hyperbole”, not?). But at least all the Billboard and other magazines’ references develop a chronology that’s not a later reconstruction (and alteration), but that is given while the events are still “hot”. 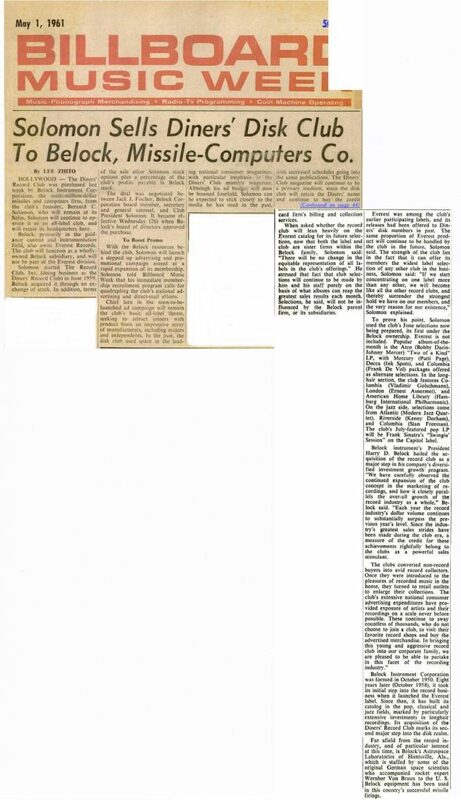 And that’s how I found out that Everest’s sale from Belock Instruments Co. to Bernie Solomon happened not “in 1960” as the Wikipedia Everest entry has it, not “in mid-1961” as David Patmore and Lonn Henrichsen claim in their article published in The Classical Record Collector (p. 47), but, very precisely, on Tuesday, February 20, 1962: it is mentioned in The Billboard of March 3 (the Billboard of the week before had already mentioned the ongoing negociation). 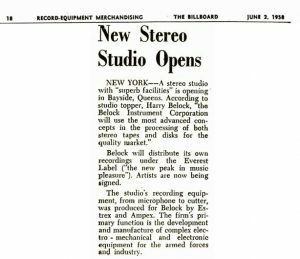 Incidentally, another piece of information given by the Billboard article, which I had read nowhere, is that Belock Instruments Co. retained a 25% share in the new Everest. I suppose they eventually sold it to Solomon, but it is mere conjecture on my part, I’ve found no information about that. Another corrective brought by reconstructing the exact chronology thanks to The Billboard: everything I’ve read about the demise of the original Everest was that the sale of masters and copyrights to Solomon, and sale of the recording equipment, stock of 35mm film and studio to sound engineer C. Robert Fine, happened more or less simultaneously. Not so. 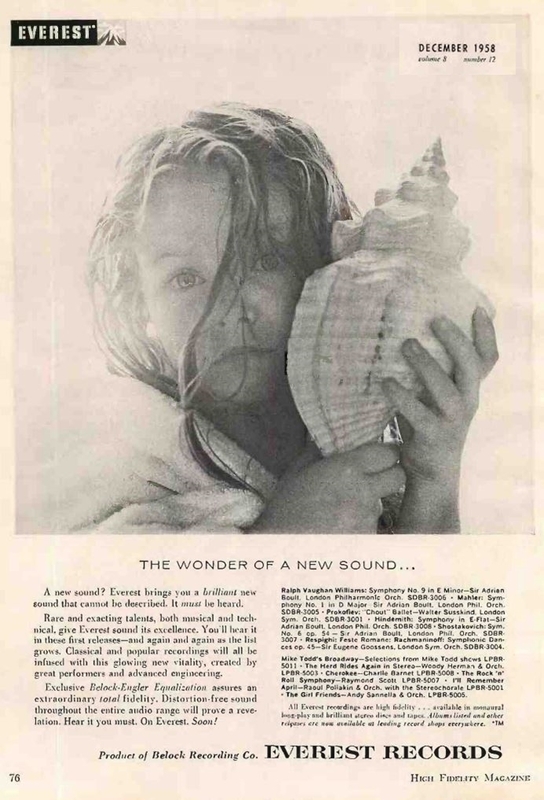 The Bayside studio was sold to Fine in March 1961, almost a year before the sale of the Everest company (and hence masters and copyrights) to Solomon. That was announced in The Billboard of March 20, 1961. Fine famously put that equipment and 35mm film to good use on behalf of the Mercury Living Presence and Command labels. 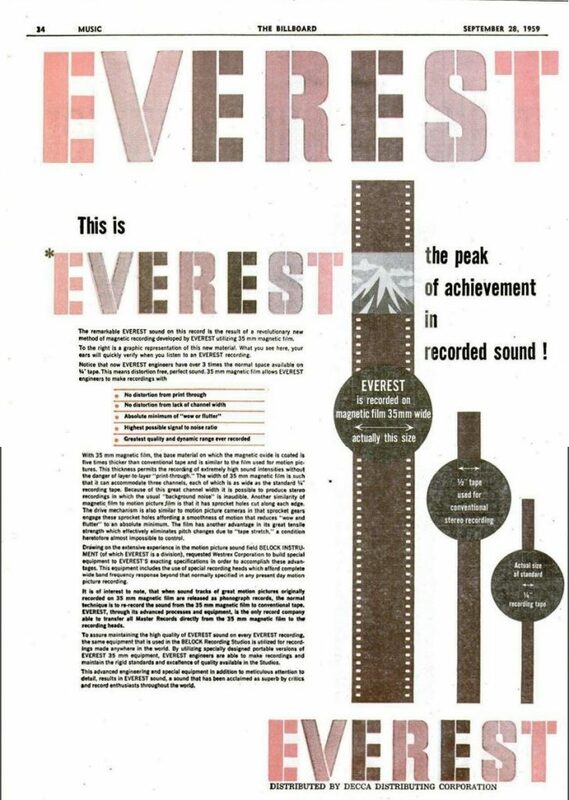 About Everest’s pioneering, much-hyped and now legendary use of 35mm film, one more thing deserves to be documented: it started not from the very first days, but was first used, apparently, on the recording of the film score of Michael Todd’s film “Around the World in 80 Days”, released in February 1959 (I haven’t found the exact recording date). This is useful for dating the two recordings made with the Rochester Philharmonic under Theodore Bloomfield (SDBR 3060, Debussy Iberia & Ravel La Valse, Rhapsodie espagnole; SDBR 3068: Sibelius Symph. No. 5 & Finlandia). Those two recordings were shot down by the critics, not just for their interpretive flaws but also their botched sonics. 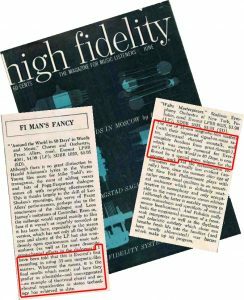 They were among the few not reissued to CD on Seymour Solomon’s prized Omega series (but they’ve now been digitalized and made available as downloads by Countdown Media). 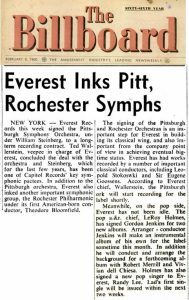 It’s interesting to note that Everest’s intention was to record the Pittsburgh Symphony immediately after signing them: and indeed, that’s what happened: Everest’s session with the orchestra under Steinberg happened on 13, 14 and 16 February, and yielded Brahms’ Symphony No. 4, Gershwin’s An American in Paris and Rhapsody in Blue, and the symphonic arrangements by Robert Russell Bennett of music of Foster and Kern. 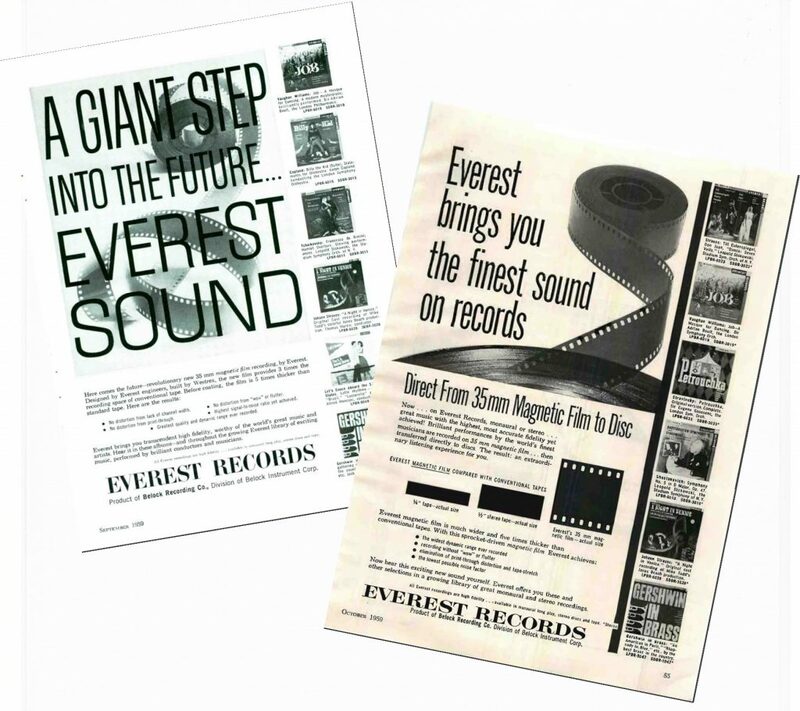 Everest’s Ted Wallerstein didn’t announce such haste in recording in Rochester, but at the least we can assume that the recordings happened not before February 1960, and probably not long after. Countdown Media’s digital reissues appear to confirm the dating February 1960. Another thing learned from the Billboard, and quite a surprise, is that Everest first bought Solomon before Solomon bought Everest. Here’s the explanation of that riddle. Bernie Solomon first entered the music business as the manager of the music publication companies of popular TV singer Gene Autry (link will open a new tab to his entry on Wikipedia), but in 1959 he founded the Diners’ Record Club. Record Clubs are no more in fashion these days as an avenue for marketing discs, but they were quite active in the early days of the LP. Usually it was the labels themseves that established such record clubs, and their clubs sold their own brand exclusively; the pitch of Solomon’s Diners’ Record Club was, first, that it wasn’t exclusively linked to one label but carried a number of them, and secondly that it was, at least at the beginning, opened only to holders of Diners Club credit cards, although that changed less than a year later. 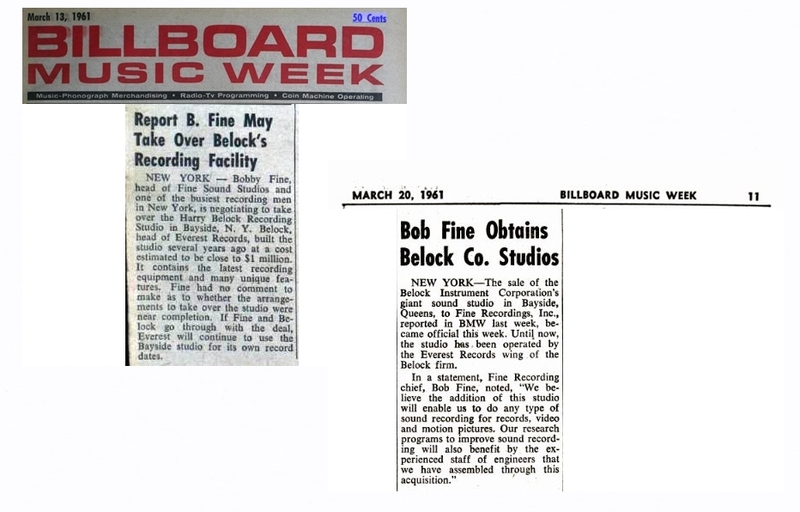 There had been signs that Everest’s affairs weren’t doing so well, and the sale of the Bayside studios and equipment to C. Robert Fine in March 1961 is one of those signs, as well as the redeployment of Everest from – as one Billboard article from Oct. 3, 1960 put it – a “classical first, pop second” strategy, to the pursuit of “a heavily accented pop approach to the business”. It is then probably significant that it is hardly a month after selling the Bayside Studio and Equipment to Fine that Belock bought Solomon’s Diners’ Record Club. It was announced in The Billboard of May 1, 1961. Alas, Solomon’s Record Club turned out to be another poor investment judgment from Belock. 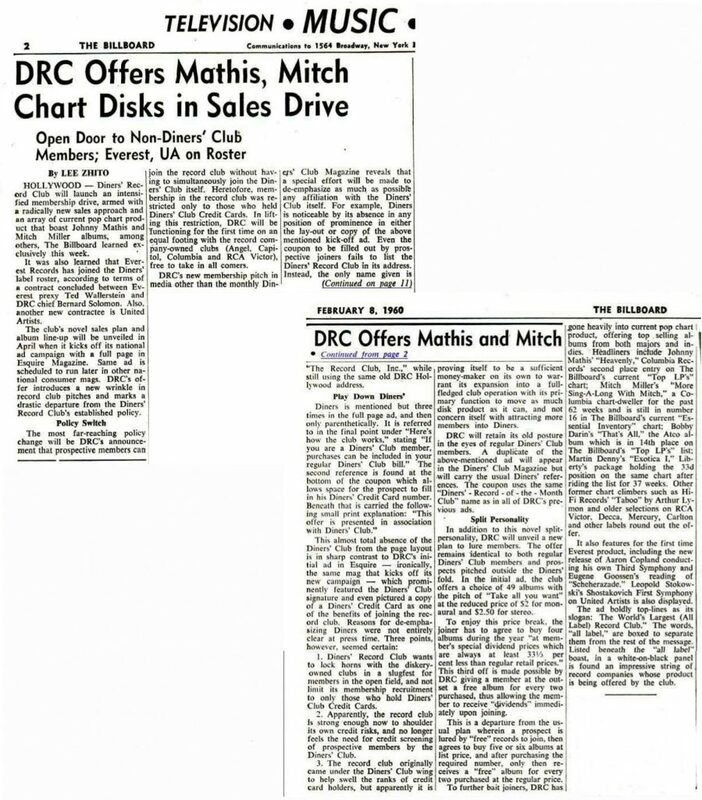 In 1963 it shut down, because, claimed Solomon, of anti-competition practices by Columbia’s Record Club. 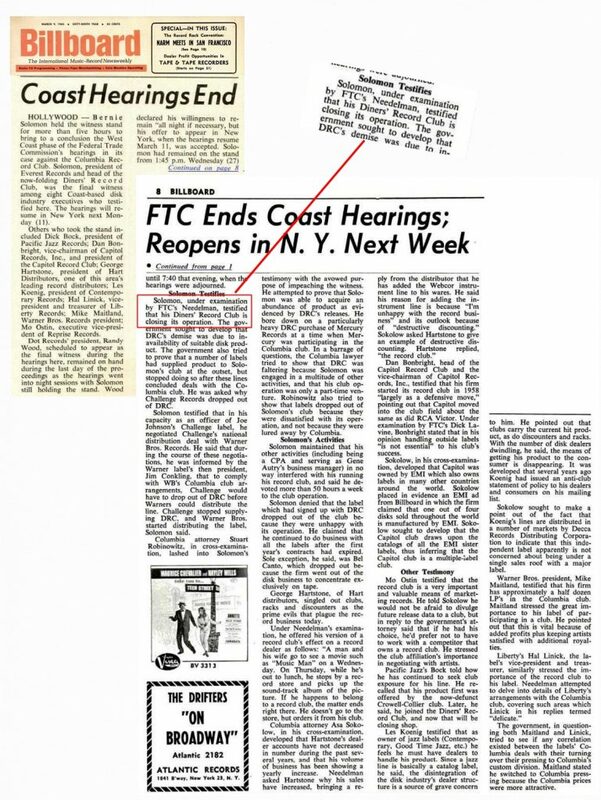 There was a big lawsuit by the Federal Trade Commission about that (in which Solomon was only one among many witnesses). 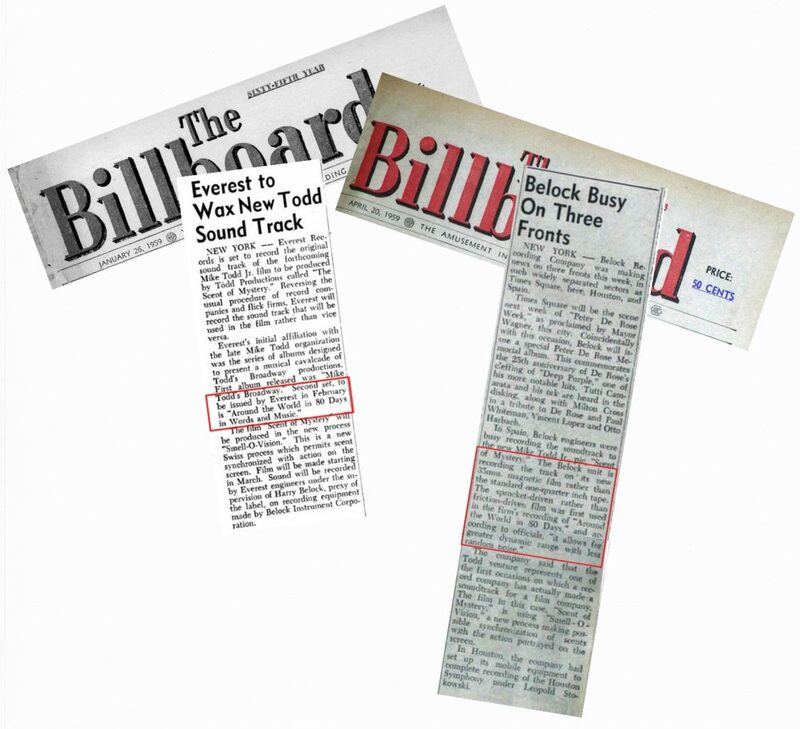 That story was told in The Billboard of March 9, 1963. 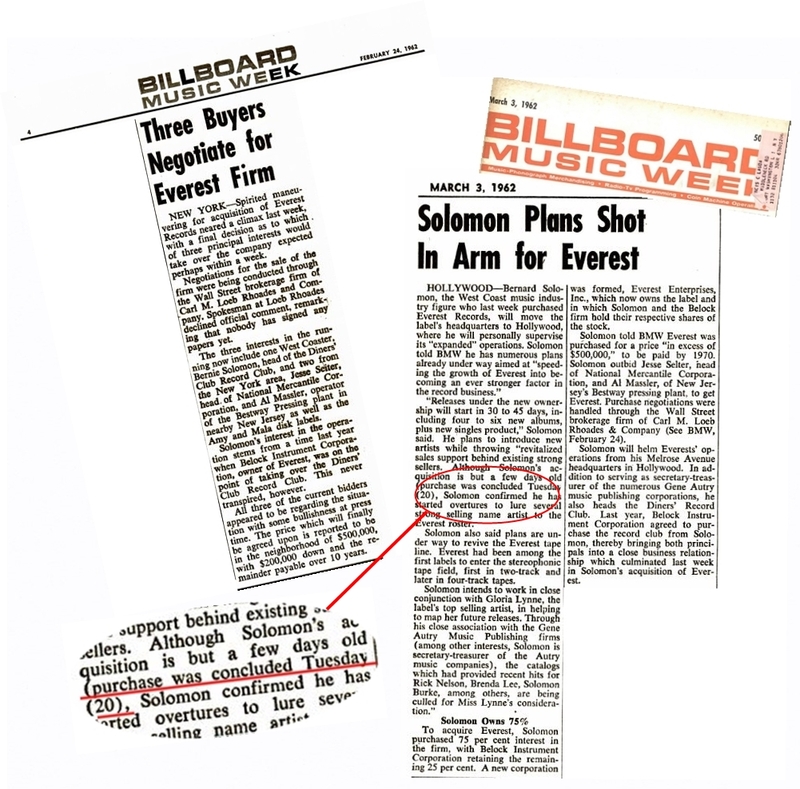 The rest of Everest’s history in the LP era is Solomon’s story. From then on, Belock is out of the picture in the audio industry. He died on November 8, 1999 in Long Beach, New York, and I haven’t even found an obituary online for him, that would give an indication of what he and Belock Instruments did after they retired from their discographic activities.